Every year, the New Years celebrations arrives bringing with it promises and resolutions. You might have vowed to quit smoking, lose some weight, travel new places or spend some more time with your family, but, what about your home? 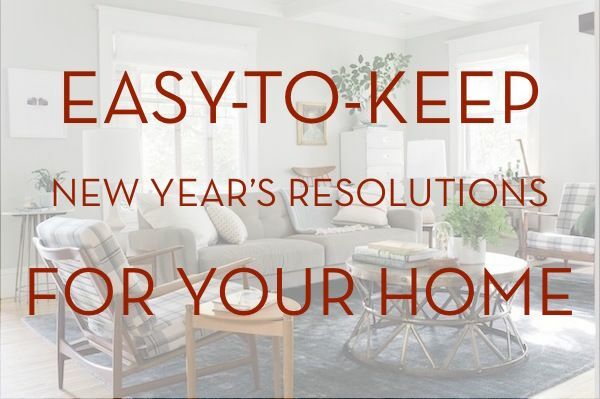 In the spirit of new beginnings, lets discuss some New Years Resolutions for your home to have a better organized, and more comfortable place to live. Cut down the use of energy. Going green could be a great way to make this year truly remarkable. If you are looking at building, talk to your Custom Home Builder Perth about the cost of installing solar panels, energy efficient hot water systems, double glazing and cross ventilation. Some small changes to your new home can make the world of difference. Learn to properly recycle, remember to turn off lights while you’re not using them and turn the taps off when you’re brushing your teeth. This way, you’ll not only contribute towards a better planet but also cut down your bills significantly. The kitchen is the heart of the house where families gather together during all the hassles of everyday life.So why not make as healthy and family-together kitchen as possible? Make your kitchen clean and organized and keep it full of healthy and nutritious ingredients. Look out for some healthy recipes in cookbooks or online. Throw out anything that has overstayed in your kitchen by checking out their expiry dates. When building your Custom Home Design make the kitchen central and more accessible and think about adding a scullery/wet kitchen to make it multi-purpose and elegant. Indoor air quality is one of the most important indicators of the quality of the environment you are living in. Indoor air can be full of contaminants like dust, pollen and mould spores. The problem can be even more severe during winter when we prefer to keep our doors and windows shut all the time. Eliminate these harmful irritants by maintaining your Air-conditioning system and changing filters regularly, use low fume paints during renovations of rooms and use your exhaust fans for localized ventilation in your bathrooms and kitchens to get rid of smoke, cooking fumes. This year shift your focus towards materials that are low-maintenance and durable. As you only need to spend minimal time maintaining them, making the change will spare you from worrying about looking after them. Materials that your Custom Home Builder Perth may recommend are fibre-cement planking alternatives in lieu of real timber siding. Fibre Cement is weather-proof, exceptionally stable and resistant to fire, dents and rot and lasts for as long as 50 years. Another easy change is to ensure that you install LED lighting/ bulbs ensuring longevity and an added cost saving bonus on your electricity bill. Getting rid of clutter is a must. In fact, it’s probably the best and cheapest way to feel better about your home. Keeping your space organized comes down to two things; periodically get rid of whatever things you don’t use often or don’t like at all and only bring in things that you actually need. Creating extra space for storage is another way to keep your home organized. With added space, you can store your possessions easily without your room looking untidy. Keep this in mind when looking at Custom Home Designs Perth. Always make sure that your new home has plenty of storage.